PRAGUE | Friday, November 9, 2018 - Tomas Berdych has been absent from the ATP Tour since June, and in that time the Czech star has aged a bit. This week in Prague, a curmudgeonly-looking Berdych finally picked up the racquet again and in the process punk'd Petra Kvitova in this quirky pre-arranged spoof for Tag Heuer. From watching it's pretty hard to tell if Kvitova had any idea that this old man was actually a well-rested 33-year-old that still packs quite a punch. 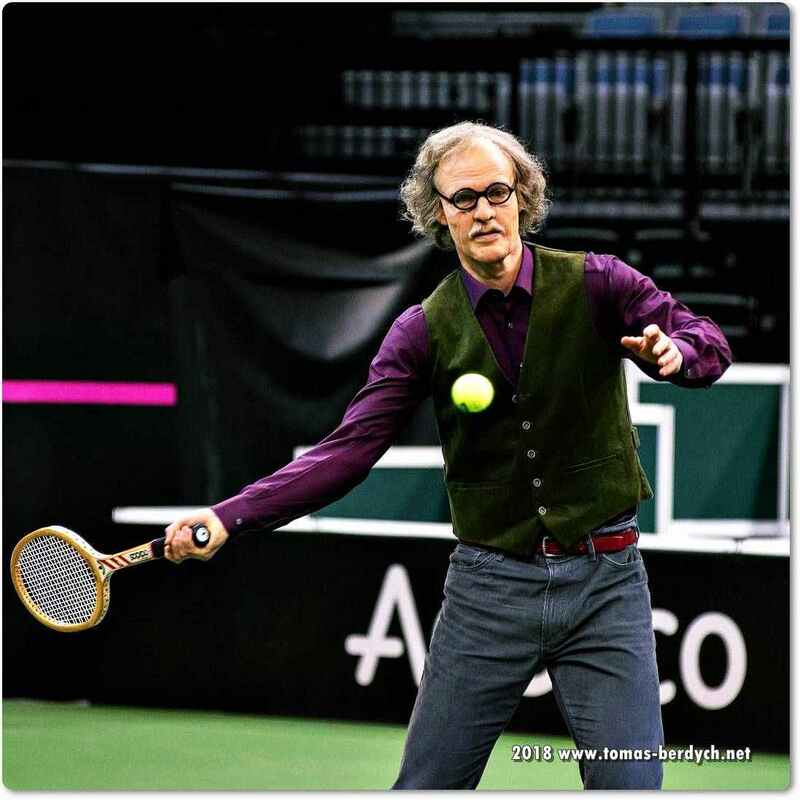 Berdych quickly takes to running Kvitova around the court as they begin to hit, and Kvitova is not about to get into a full-blown battle with this strangely talented old man. In the end, the quirky old dude is revealed to be Berdych, and both players have a good laugh, courtesy of their scheming sponsor.